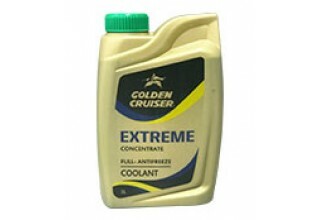 Golden Cruiser EXTREME super high performance full-antifreeze Coolant concentrate provides trouble-free protection in all weather conditions round the year. Long service life-3 years/ unlimited mileage. Unmatched anti-corrosion & lubrication properties.